With this card, reading gets more exciting in many ways! All book lovers have a place they call home – to gain knowledge, to gain peace and NOW, to get even more rewarded! As a welcome treat, a FREE Fully Booked Php500 Gift Certificate will be yours for a minimum accumulated spend of Php12,000 anywhere within the first 3 months of card issuance. The FREE P500 Book Voucher will be given to newly approved principal cardholders for a minimum accumulated retail purchase worth at least P12,000 spent anywhere within the first 3 months from card issuance. Only the principal cardholders will be given the FREE P500 Book Voucher. The Book Voucher can be exchanged by principal cardholders for a Fully Booked Gift Certificate (GC) worth P500 at any branch of Fully Booked. Only the principal cardholder may exchange the Book Voucher for a Fully Booked Gift Certificate worth P500. When claiming the Fully Booked GC, the principal cardholder must present the Book Voucher together with his/her Fully Booked RCBC Bankard credit card and the required accumulated charge slips totalling P12,000 spent anywhere. The Book Voucher and the required charge slips must be surrendered to Fully Booked upon claiming of the Fully Booked GC. Lost Book Vouchers will not be replaced. The Book Voucher is not convertible to cash. The Book Voucher cannot be combined with the discount/rebate privileges of the card. The Book Voucher is valid for four (4) months from card issuance. Enjoy an INSTANT 10% discount all year-round on your purchases at Fully Booked stores. That’s big savings while indulging in your passion for reading. Fully Booked RCBC Bankard cardholders must use their Fully Booked RCBC Bankard credit card to pay for their purchases in order to avail of the discount. The discount is not applicable to magazines, office supplies, CDs, DVDs, consigned items and gift certificates. Get additional savings of as much as 10% rebate at Fully Booked stores when you charge a minimum accumulated outstore spend of P20,000 per billing statement. Plus, earn 0.50% rebate on your outstore spend. (Outstore spend refers to all purchases outside Fully Booked stores, such as dining, supermarket, shopping, gas, airline, etc. ; excludes cash advance, balance conversion and balance transfer.) You can earn as much as P1,000 worth of rebates per monthly billing statement or up to P12,000 per year! Rebates earned shall be conveniently reflected on your monthly statement. *Excluding cash advance, balance conversion & balance transfer. 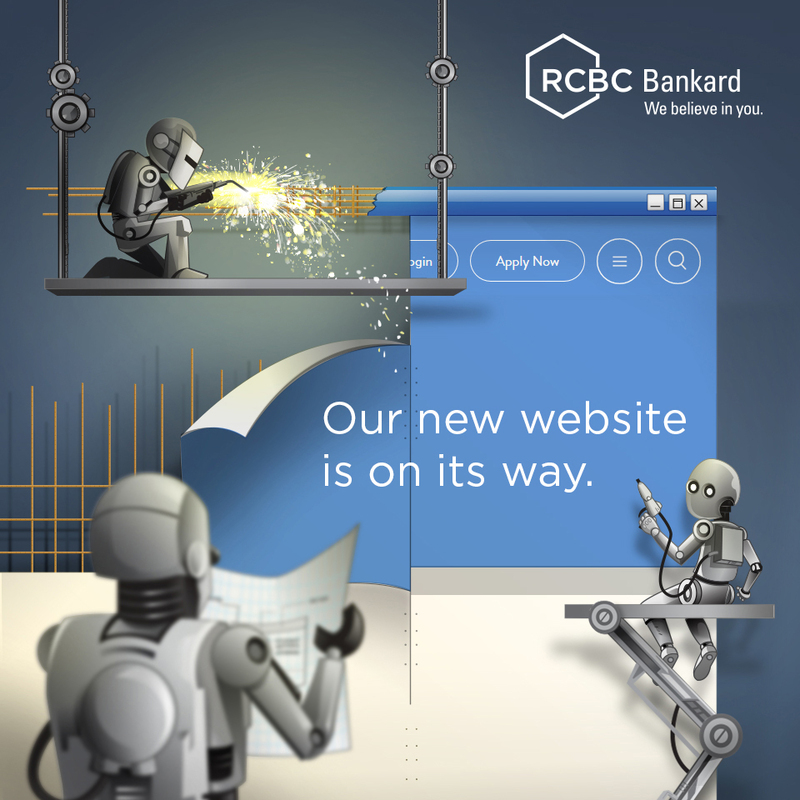 To qualify for the Rebate, cardholder’s Fully Booked RCBC Bankard account should be active and in good credit standing at the time of the computation of the Rebate (i.e., on statement cut-off date). Rebate shall be automatically credited to the cardholder’s Fully Booked RCBC Bankard account on next billing. For Installment transactions (excluding balance conversion and balance transfer), rebate computation will be done only when the monthly amortization is posted. RCBC Bankard shall use the Merchant Number assigned to the RCBC Bankard POS Terminals as basis for determining transactions at Fully Booked stores. The Rebate shall have a maximum cap of P1,000 per monthly billing statement. The Rebates are not transferrable to another person or to another RCBC Bankard card account. Where Rebates have been credited to the cardholder’s Fully Booked RCBC Bankard account and/or used before the purchase is charged back, the Card account will be debited for the credited Rebates. Fraud and abuse relating to the earning or redemption of Rebates may result in forfeiture of Rebates and termination of the cardholder’s Fully Booked RCBC Bankard account. The Rebate rates and the basis of calculation of Rebates are subject to change at RCBC Bankard’s sole discretion. Any handling fee and corresponding tax arising from the Rebates shall be the sole liability of the Fully Booked RCBC Bankard cardholder. The decision of RCBC Bankard on all matters relating to the Rebates shall be final. RCBC Bankard shall not be liable to the cardholder for any damages or penalty arising from or in connection with the rebate program. Avail yourself of 0% EasyTerms Installment on selected items at Fully Booked stores at 3 and 6 months installment terms for a minimum purchase of Php3,000 and Php5,000, respectively. Cardholders may avail of 0% Interest Installment on selected items at Fully Booked stores at 3 and 6 months installment terms for a minimum purchase of P3,000 and P5,000, respectively. Fully Booked reserves the right to determine which items can be purchased on 0% Installment. Existing terms and conditions of EasyTerms Installment will apply. Enjoy special buys/private sale events at all Fully Booked stores. To avail of the special buys/private sale events, you must use your Fully Booked RCBC Bankard MasterCard to pay for the item/s. Be the first to know Fully Booked’s new arrivals or special events/promos such as book signing, exhibits, workshops, etc. Service Fee for Foreign Currency Transactions 3.50% representing the Mastercard/Visa/JCB/UnionPay assessment fees and the Bank’s service fee. For foreign currency transactions converted to Philippine Peso at point of sales, whether executed in the Philippines, abroad or online, a service fee of 2.25% shall be applied to transactions amounting to P1,000 and up, or its foreign currency equivalent.